I wrote this about two years ago after my boyfriend made a surprise visit to the coffee shop where I was writing. I guess I was feeling inspired. He unsuspectingly walked into the coffee shop where she sat intently typing on her laptop and gently caressed her shoulders from behind before sliding his soft hands down her arms and engulfing her in a warm embrace. She didn’t need to turn around to know it was him. She hugged him back. His touch was certainly welcomed as she had been battling her depression all weekend and trying to hide that anything was wrong. She didn’t expect to see him until later when they met for a movie. He bent down and said softly, “Hey. I took a chance that you were here. I wanted to stop by and see you before I ran a few errands and to tell you I love you”. The side of his face was pressed against hers. She turned her head to kiss him on the cheek and then caressed it, “I love you, too,” she whispered. He looked down at her tenderly. “Are you alright?” he asked with concern in his eyes. She shook her head up and down and said, “Uh huh.” Lies. He smiled and kissed her on the forehead before turning towards the door. “This is mine,” he said referring to her. “I’m going to make it official one day.” She smiled as she watched her boyfriend sexily saunter toward the door. Overcome with emotion her eyes began to well up with tears. When she was depressed she tended to cry easily. It was silly to cry over such a small gesture. I hate depression she thought to herself, but I really needed that. How did he know? I just wanted to drop in and say hello. One of my goals in 2019 is to be more consistent with my communications efforts. Wish me luck! 2018 has definitely been a year of highs and lows. There are a few I wish I could have skipped, but we don’t have that luxury. Here is the condensed version. I was selected as the host of a revised and revamped podcast called 3BC ( 3 Black Chicks). It’s a roundtable discussion with myself and 3 phenomenal black women. So far, we have embraced the topics of being single and women in business. Please take the time to check it out and feel free to give me your feedback. Click here. That great banner above was actually featured on a billboard. People were driving down the highway looking at me!! Join our FB page. 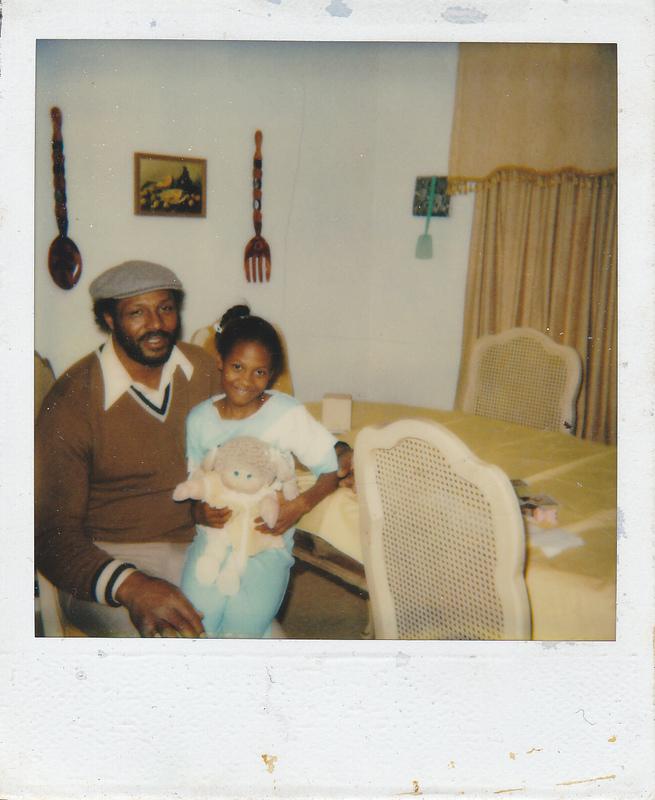 My father, Gean Allen Henderson, was murdered. He was beaten and robbed the Friday before Father’s Day and died as a result of his injuries the day after Father’s Day. You don’t really know the impact of violence until it happens to you. Each day is a fight to remain whole when a large part of you has been snatched away. In case you are wondering, the man who killed my father was caught and is now awaiting trial. I was told it could take two years or more to complete the judicial process but my siblings and I are dedicated to making sure that justice is served. I miss him terribly. I received the award for Best Book Author Activist from House of Mtenzi (see first picture). I am grateful and humbled. I was a featured extra in the Hallmark movie “Christmas At Graceland”. It was kind of cool seeing myself on television again. For those who don’t know, being an extra has become an unintentional hobby of mine. That speaking role is coming soon. I can feel it in my bones! 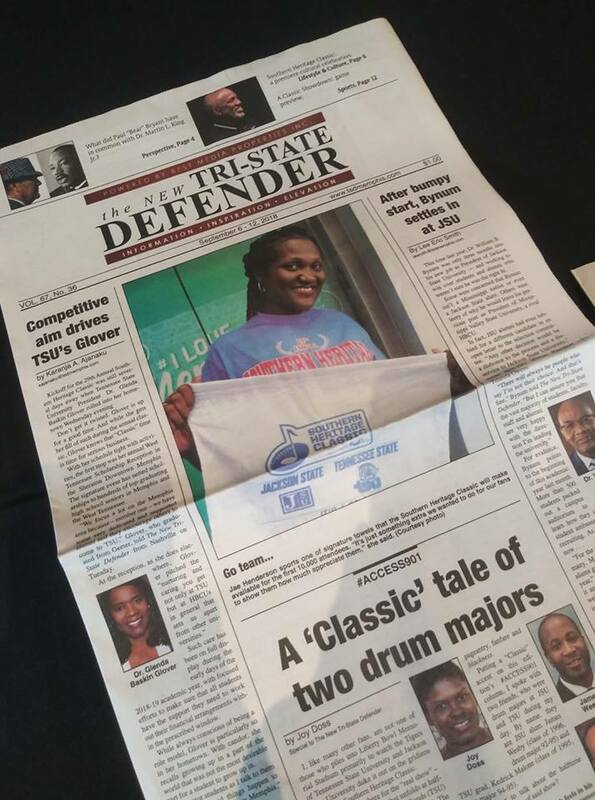 I was featured on the cover of the “Tri-State Defender Newspaper” promoting the Southern Heritage Classic. If you have never visited Memphis or attended an HBCU classic football game join us September 11 -15 2019. Inbox me for more info. Mario D. King and I are working on the sequel to “Where Do We Go From Here”. We committed to three books, and we are working to make it so. “From Here to There” should be out in April of 2019. Thank goodness there were more highs than lows. Love and joy still reside in my heart, and I am looking forward to a happy and prosperous 2019. Well, that’s all for now lovelies. May your 2019 be as awesome as you are! This Saturday in Memphis, TN I will be a part of the official book launch for the book “Storealities” by Roquita Coleman-Williams. It features stories by 22 women, myself included. Roquita, one of the few black female executives in the railroad industry (She actually has her conductor’s license!!) is no stranger to hard work and breaking glass ceilings. 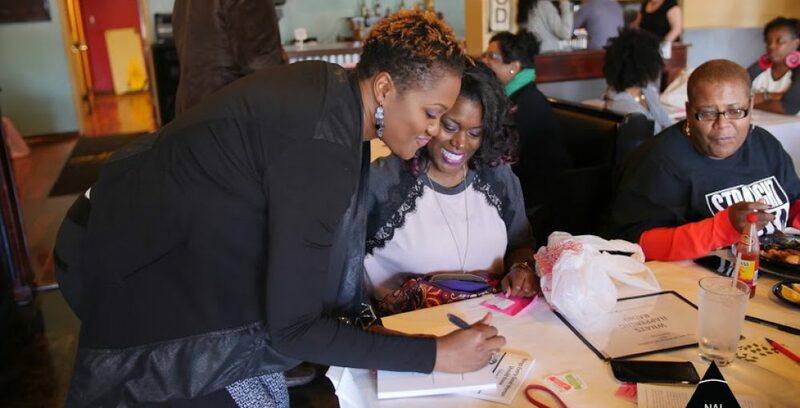 She created this book to give a voice to everyday woman. We each tell a story about a moment in our lives that helped define us. I have read the book and I must say that I truly enjoyed each testimony by these amazing women from all walks of life. I am honored to be a part of such a wonderful endeavor. It’s not easy taking off the mask and allowing others to see our flaws but if it helps someone, it’s more than worth it. Please attend the book signing if you can. It’s currently only available in paperback. Unfortunately, it is SOLD OUT on Amazon for the time being. This past weekend, several of the featured authors did a podcast to discuss the book. Take a look. The interview starts around the 8:33 mark. I pray that you accomplish all your dreams. Be blessed! Summer is almost here and Literary Jewels has several stops. My goal is to schedule a vending opportunity every weekend unless I am on vacation. For those who don’t know, Literary Jewels is a subset of my company I created back in October of 2017 when I became a Paparazzi Jewelry consultant. It’s the place were books and jewelry meet and allows me to showcase my books along with some lovely pieces of jewelry. I must say that so for the endeavor is going quite well. Here’s a video I did this week to showcase some pieces and books I will be selling during the Splashtastic Pool Party this weekend at Dean of Fashion Glamtique. It is at 5963 Summer Ave. from 2 p.m. – 6 p.m. Proceeds from the jewelry sales are used to fund the scholarship I created in memory of my mother, Lillie Marshall. Each year, I want to use it to assist a young man or woman who is pursuing a college scholarship in spight of challenging circumstances. We are actually accepting applications now! Feel free to visit my memorial site to learn about the scholarship and the qualifications for acquiring the scholarship, www.lilliesdaughter.com. If you’re in the Memphis area, come see me. If not, check out my schedule to see if I’m coming to a city near you. I hope to add several more dates. So, if there’s an event you believe I should be a part of, feel free to invite me. Also, if you would like to buy some jewelry, visit my online store at https://paparazziaccessories.com/121940/ and get whatever tickles your fancy. Your hosts, Jae Henderson and Angela Kay Austin, would like to invite everyone to join them Saturday, March 31st for Book Lovers Appreciation Day in conjunction with The Life Center’s Community Festival. This day of family fun from 1 p.m. – 4 p.m. will feature food trucks, entertainment, prizes, a Kids Korner with story hour at 2 p.m. The celebrity reader is 88.5’s Michael Adrian Davis and our entertainment is being provided by comedian LaToya Tennille and vocalist/musician Kiña del Maran. There’s even an Easter Egg Hunt! The best part is you get to mix and mingle with some of your favorite authors and receive a discount on their books. The Life Center is located at 6385 Winchester Rd. (The Old Barnes & Noble Book Store). We can’t wait to see you! Admission is FREE. The first 40 adults will receive a special gift bag. WE ONLY HAVE VENDOR SPACE LEFT IN THE KIDS KORNER FOR $25.00. For more information, to RSVP and learn more about vendor space, visit the Eventbrite site at https://www.eventbrite.com/e/book-lovers-appreciation-2018-tickets-42929453150. Check out the website at www.bookloversmemphis.com. Have a prosperous year full of great reads!! Join us for another exciting Happy & Single Game Night in a new location. Bring your friends, your favorite game, your favorite drink (BYOB) and your game face! We’ll have games on hand as well. Thanks to the owner of Evergreen Grill, this one is FREE! It’s hosted by myself and Miguel Grandberry, former co-host of the relationship talk show Venus vs. Mars. There will be live entertainment with the band Bamboo Forest featuring Will Graves performing. It’s also Trolley Night on South Main so early arrival is suggested. We’ll see you there! For more information, visit our Facebook Event Page.